His work was far ahead of its time so that, for almost a century, the medical community didn't know what to do with it. Time has proven his work to be extremely accurate in the data he gathered but with fatal flaws in his interpretation of the data--an interpretation that Dr. Warburg backed away from later in his career. Pieces of both his data and flawed conclusions have been taken out of context and used to validate theories about cancer that, although not entirely wrong, are, nonetheless, crucially inaccurate on certain key points or, at the very least, misdirected. An example of this kind of misunderstanding can be found in a comment we received to an article I wrote on cancer in 2010. "Don't forget that Dr. Otto Warburg was given a Nobel prize in Medicine for discovering the prime cause of Cancer in 1931. It appears that sugar is the culprit. Cancer was practically unknown in the last decade of the 1800's when the average American consumed 5 lbs. of sugar per year. The cases of Cancer increased proportionately through the years as consumption of sugar increased to about 135 lbs. per year in the present. CASE SOLVED!" But the truth is Dr. Warburg didn't win his Nobel Prize for discovering the prime cause of cancer. Warburg was awarded the 1931 prize, not for his cancer work, but for his work on cell respiration.1 And although sugar plays a role in the progression of SOME cancers, there is no compelling evidence that it is THE cause of cancer. Case NOT solved! We'll get back to Dr. Warburg later, but for now, let's look at a recent study based on his work that has gotten a lot of attention in the press. Before we talk about the study, however, we need to cover a little background on how energy is produced in cells. Normal cells, cancer cells, and yeast (yes, there's a reason we're talking about yeast) all need sugar to function. They break down sugar molecules and transform them into molecules they can use to produce energy. However, there are two pathways they can use to accomplish this end. When oxygen is present, normal cells use a three-step, aerobic process, which is highly efficient. Glycolysis is the metabolic pathway that provides the first step in the aerobic process by converting glucose into pyruvate. Very little ATP is produced in this step, and no oxygen is required. This step is anaerobic. The Krebs Cycle is the second step in the process. It oxidizes the pyruvate formed during the glycolytic breakdown of glucose. The pyruvate molecules are systematically broken apart to release energy. However, as with glycolysis, very little ATP is produced, and no oxygen is used. When oxygen is limited, as in anaerobic exercise, the body temporarily converts pyruvate into lactate, which allows for glucose breakdown--and thus energy production to continue. As with glycolysis, this step too is anaerobic. Electron Transport Chain and Oxidative Phosphorylation is the third step and the only step in the process that requires oxygen. Here is where ATP, the ultimate cellular energy molecule, is produced. This step is aerobic. When the body has plenty of oxygen, pyruvate is shuttled to the aerobic phosphorylation pathway to be further broken down for more energy. In normal human cells, anaerobic glycolysis is the last resort to keep up with energy demands because it's far less efficient than the aerobic alternative. But not so with cancer cells. Even when ample oxygen is available to break down glucose and use it as fuel, cancer cells are genetically programmed for anaerobic sugar fermentation. This preference of cancer cells for anaerobic glycolysis is called the 'Warburg effect'. Which brings us to yeast. Yeast is one of the most prominent examples of eukaryotic cells. Eukaryotic simply means that cells have a nucleus and other organelles enclosed within membranes. In other words, all the cells present in the human body are eukaryotic--even red blood cells. (Although red blood cells have no nucleus, they are eukaryotic because they contain a nucleus during development but eject it to make room for more hemoglobin.) Why is this important? Quite simply, yeast cells are a perfect match for human cancer cells. They display high fermentative activity as well as rapid cell proliferation under aerobic conditions, just like mammalian cancer cells.6 Yeast also has the same class of proteins that is linked to many cancers. Mutations in the genes that code for these proteins, called Ras, can often contribute to cancer cells' ability to grow unchecked. In cancer, these Ras proteins can be far more active than in normal cells. To connect the dots, as we've already discussed, if oxygen is not present, your cells use an anaerobic pathway (glycolysis), the same process that yeast cells use to produce energy. In healthy human cells, glycolysis is the last resort to keep up with energy demands because it's far less efficient than the aerobic production of ATP. But in cancer cells (and yeast), anaerobic glycolysis is the only cellular energy producing process available. This is what Warburg discovered. This is the Warburg effect. Yeast, as we've already discussed, also provides another window into understanding cancer in that it has the same class of proteins that is linked to many cancers in humans. Mutations in the genes that code for these proteins, called Ras, can often contribute to the ability of cancer cells to grow unchecked. In cancer, these Ras proteins can be far more active than in normal cells. The main advantage of using yeast in studying the Warburg effect is that it's not affected by the additional regulatory mechanisms of mammalian cells, which conceal crucial underlying processes. Using yeast as a model organism, the researchers could examine the connection between Ras activity and the highly active sugar metabolism in yeast. Although the study did not confirm Warburg's hypothesis about sugar being the "cause" of cancer, its results do explain how cancer cells' energy production processes are different from normal cells. It found that one particular kind of protein can be activated by sugar. Mutations in that protein have been linked to cancer, especially pancreatic and colon cancer. Notably, the study did find that sugar stimulates cancer cells and makes tumors more aggressive. The discovery provides evidence for a positive correlation between sugar and cancer, even if not causative. A recent study found that sugar stimulates cancer cells and makes tumors more aggressive. Unlike normal human cells, yeast and cancer cells favor fermentation of sugar over respiration. The study reveals an evolutionary conserved mechanism linking fermentation to activation of Ras, a major regulator of cell proliferation in yeast and mammalian cells, and a "prime proto-oncogene product." As the researchers stated, "Our results suggest that the Warburg effect creates a vicious cycle through Fru1,6bisP activation of Ras, by which enhanced fermentation stimulates oncogenic potency [The vast majority of glucose and fructose entering a cell will become converted to Fru1,6bisP (fructose 1,6-bisphosphate) at some point]…Our research reveals how the hyperactive sugar consumption of cancerous cells leads to a vicious cycle of continued stimulation of cancer development and growth… Thus, it can explain the correlation between the strength of the Warburg effect and tumor aggressiveness. This link between sugar and cancer has sweeping consequences," said lead researcher Johan Thevelein. It would be easy to jump to a conclusion here--as many people did based on Warburg's original work--that sugar "causes" cancer. That jump, however, would not be warranted. There's a huge difference between "feeding" an existing cancer and "causing" it in the first place. As Thevelein told Newsweek, "Some people are interpreting that we have found a mechanism for how sugar causes cancer, but that is certainly not the case. "14 Instead, Thevelein said, his work shows just how sugar is broken down differently in cancer cells. He went on to say that although his work might mean that cancer patients should eat a low-sugar diet, he stressed that his work does not mean that eating a low-sugar diet before a cancer diagnosis might lower a person's risk. As it turns out, there are two reasons for his reluctance to go down that path. Unless you have diabetes, it's hard to change blood sugar levels by eating more or less sugar. Healthy bodies regulate blood sugar levels no matter how much sugar you eat. In real life, not all cancer cells are the same. Some cells may take up a lot of sugar and not grow and some may not take up much sugar at all and still grow aggressively. As it turns out, his reluctance is backed by other studies. In 2012, a major study that tracked more than 300,000 people investigated the association of total sugars, sucrose, fructose, added sugars, added sucrose, and added fructose in the diet in terms of their risk with 24 different malignancies.15 It found that sugars were not associated with a higher chance of developing most major types of cancer, including colorectal, breast, prostate or pancreatic cancer. But high sugar levels are possibly associated with an increased risk of some rarer forms of cancer, including types of lung or esophageal cancer. Nevertheless, Warburg aficionados have locked onto his statement that, "The prime cause of cancer is the replacement of the respiration of oxygen in normal body cells by a fermentation of sugar." Well, if everything you've read so far hasn't convinced you that the case for sugar causing cancer is weak, then you might want to consider the fact that by the end of his career, Warburg backed off from his own claim that sugar and low oxygen caused cancer--instead pointing to chemicals used in agriculture and added to food as its ultimate cause.16 This caused him to become something of a health advocate. He insisted on eating bread made from wheat grown organically on land that belonged to him. When he visited restaurants, he often arranged to pay for a cup of tea, but to be served only boiling water, from which he would make tea with a tea bag he had brought with him. He was also known to go to great lengths to obtain organic butter, the quality of which he trusted. The bottom line is that although the study found that high blood sugar could cause cancer cells to grow and multiply faster, the findings do not prove that eating (or not eating) sugar has any effect on the onset or development of cancer. And keep in mind that many other factors have changed over the last 100 years in addition to the increase of sugar in the diet--such as 80,000 chemicals never before seen in nature unleashed upon the environment and the great increase in cigarette smoking seen after WWII. And sugar does not explain the increases in cancer found in areas such as Love Canal, Chernobyl, and Erin Brockovich country. To claim that sugar is the cause of cancer--CASE SOLVED--is simply not supported by the facts. Sorry. To claim that sugar is the cause of cancer is simply not supported by the facts. The main source of confusion here is that there are multiple definitions of cancer in play, and people tend to use them interchangeably--shifting from one to the other as suits their argument of the moment. As for the medical community, it's now attempting to move past this problem by saying there's no such thing as "cancer." Each manifestation of "cancer" is actually a separate disease with a separate cause and requiring its own unique treatment. But I would suggest that still leaves us with our core conundrum. And that is that there is a fundamental difference between a single cell turning "cancerous," and what we refer to as cancer. They are not the same thing. When you make this distinction, you can see that all cancers follow a similar pathway. The DNA in a single cell changes so that it becomes cancerous. Your immune system fails to identify and eliminate that cell--a task that it is designed to do. The cell begins to replicate creating what we refer to as cancer. Once replication begins, the malignant cells, which know your body intimately since they arose from your body, can begin to protect themselves from your immune system--hiding from it, or even coopting it. Once hidden from your immune system, the cancerous mass is now free to develop a support network such as generating blood vessels to feed itself. It also begins to coopt your metabolism so that it begins to produce sugar from proteins through a process called glycogenesis--dietary sugar no longer required. Literally, your body consumes itself to produce the sugar your cancer requires to feed itself--a process known as cachexia, or wasting syndrome. In the end, you literally die of starvation as your body bends more and more of its resources to feeding the cancer. And if you're not dead yet, cells break off from the original mass and metastasize throughout your body, spreading the cancer to multiple organs, which absolutely finishes the job. The thing is, once you understand this progression--and particularly the chasm between steps 1 and 3, you realize there are concrete steps you can take. In your body, as part of the normal metabolic process, you produce anywhere from a few hundred to as many as 10,000 cancerous cells each day. Everybody does. So, why doesn't everybody get cancer? Because your immune system can recognize each of those aberrant cells and remove them from your body. That's what a healthy immune system does. So, keep your immune system optimized. Just one mutation to drive thyroid and testicular cancers. Four mutations to make breast or liver cancer. 10 mutations to create colorectal cancer. 1. You expose yourself to toxins and outside influences (such as heavy metals, radiation, rancid fats, viruses, bacteria, parasites, etc.) that dramatically increase the number of cancerous cells that your body produces so that not even a healthy immune system can handle the load. 2. You compromise your immune system to the point that it can no longer handle all the cancerous cells your body produces, thus allowing some of them to take root and establish themselves. And keep in mind that although sugar and low pH may not necessarily "cause" cancer, they certainly weaken your immune system, which compromises your body's ability to prevent isolated rogue cells from becoming cancer. In that sense, excess sugar and refined carbohydrates in the diet can be a causative factor in the onset of cancer. 3. Circulation (blood, lymph, energy) is impeded, leading to both 1 and 2 above. This is a crucial point in the process. There is still time for your immune system to do its job--but you have no symptoms, so you probably don't know that you need to make any changes to nip things in the bud. That's why you probably want to follow something like the Baseline of Health program as a matter of course so that your immune system is already optimized and you're regularly detoxing, which allows your body to directly attack the emerging cancer before step 3 goes too far. Once replication has been established and the cancer is able to hide from your immune system, the game changes. Whatever approach you take needs to be much, much more aggressive. And you'll need to incorporate repeated rounds of very specialized anticancer herbs--or drugs, if that's your bent. Depending on how big the mass is, you may need to consider surgery to remove the mass--to buy time to pursue an aggressive program. At this point, you're likely beyond any known medical treatment. Now, your only hope is likely to be a full-on, full-time alternative protocol. While I have seen people come back from this point, the odds are not good. Let's be perfectly clear here: not everyone gets well, no matter what program they use--medical or holistic. That's the nature of life. Sometimes it's simply because there are so many variables. For example, if your house is concentrating radon gas seeping up from the ground below and you never checked for it and didn't know, then you could be doing every therapy program in the world and your odds of overcoming lung cancer would be significantly lessened. Then again, if you live in the middle of farm country and are continually exposed to pesticides, that too lessens your odds, no matter what you do. Sometimes, you just don't know. Even in those cases, your odds are still significantly better on a program designed to detoxify your body rather than on a program that adds more toxins to it. It's much easier to stop cancer from taking root than to make it go away. Also, it's important to remember that every day of your life your body produces anywhere from a few hundred to as many as 10,000 cancerous cells as part of its normal metabolic processes. That's why I say that you're never completely cancer free. The only question is: can your body deal with those cells and prevent them from taking root and multiplying? It's much easier to stop cancer from taking root by intervening at step 1 than to make it go away as you move up the steps. That's it, pure and simple. Any program that reinforces your body in that agenda is good and will improve your odds dramatically. Any program that undermines it is "questionable." The choice is yours. I am a big fan of your articles and journals. I read your book and have been trying to adhere to its teachings. I use some of the supplements you formulated,Glucotor 2 , Ultimate anti oxidants, Private reserve superfood to name. This article "Sugar and Cancer....", I don't understand most of the medical terms and processes but I can understand the effects of too much sugar in the body. I for one has a problem. My parents were diabetic and although I am not "yet" I am trying to do everything I can to evade cancer. Thank you Jon for all the healthful knowledge and information you always share to us through your writings. You are one man for me who deserves a "Nobel"
plus a stable or increased carbohydrate intake. but can also extend life span in many organisms. part of which involves reducing cancer risk. Boyd DB. Insulin and cancer. Integr Cancer Ther. 2003 Dec;2(4):315-29.
lessons learnt from laron syndrome. Nutr Metab. 2011;8(1):41.
a summary of epidemiological evidence. Novartis Found Symp. 2004;262:247-60; discussion 260-8. Great supporting evidence of Jon's exact point. Sugar does not cause cancer, but it will contribute to it once you get it. He states, "In short, sugar "awakens" existing cancer cells, making them multiply and expand rapidly." TY Jon for the informative & comprehensive article. To increase aerobic energy production I recently upped my daily intake of Ribose and take with Niacin which increases naturally occurring NAD. 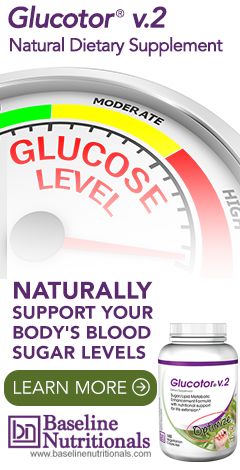 Is not Ribose a beneficial sugar as well as "safe" especially taken with Niacin?? What about sugar alcohols like Mannose & Xylitol; if effective at killing certain germs, is any knowledge it kills also cancer?? Unsure if Mannose & Xylitol can enter bloodstream through the mouth or gut, one could do a homemade liposomal encapsulation in the same manner that is often used by Vit-C?? Going out on a limb here but certainly worth at least a theoretical consideration. Or may use these sugars as "carriers" for anti-cancer herbs or drugs, kinda like the protocol of adding Baking Soda to Blackstrap Molasses?? Does a protocol of heating up blood temperature (108°F) have any positive efffects on the cancer cell activity? I had read a report that this was used for HIV patients and was wondering if this was simply done to kill off cancer cells with heat because the immune system had already been compromised. Why would you, such a clearly astute individual, in a very valuable and informative article drop to the level of battling Strawmen to effectively increase confusion in the public's pursuit of better understanding cancer? You wrote: "And although sugar plays a role in the progression of SOME cancers, there is no compelling evidence that it is THE cause of cancer." I have yet to hear anyone clearly say that sugar is THE cause of cancer. A significant role in the progression, maybe. But NEVER as THE cause of cancer. And I have been studying this subject for well over the 18 years since losing my mother to an infection as she was mistreated for Ovarian Cancer. I have seen and heard of many studies and a wealth of evidence that sugar is a, if not THE, "primary FUEL of cancer" as powerfully evidenced by the use of a form of sugar in scans to identify cancer in a persons body. But that is a long way from saying it is THE primary cause. We know beyond a shadow of doubt that sugar (pure or processed) weakens the immune system which further allows for the proliferation of cancer. I don't ever claim to have "omniscient" knowledge, unlike you do with your "there is no compelling evidence" claim above, but I will say that in my experience and testimonies of many I've talked to in the past 20 years, it is a tell tell bullying tactic used primarily by pompous underinformed Allopathically trained medical professionals or others prone to their tactics to discourage people from considering any other view than their own. You have a lot to offer Jon as the rest of this article illustrates and I gain value from your posts most of the time. But please don't fall into using the tactics of the mainstream with the delusions of omniscience and mischaracterizations of what may simply be some misunderstandings or misstatements of individuals who may wrongly have said cancer's main cause is sugar. That may undermine an otherwise very valuable voice in the natural health movement. A very good read and I enjoyed it. Cancer and sugar was clear as mud before.I will never look at this topic the same anymore. Since we can not for most escape our toxic environment is the answer therefore to attempt to do safe and regular detox of chemicals that we know about and can target. What about those that we do not know? or attempt to ramp up the immune system or would this cause other issues or do we leave the big city if we wish to increase our chances of avoiding a diagnosis. Surviving in a modern day environment is more dangerous than when the cave man was around. Just off hand are there any stats on the effectiveness of detox on cancer remission or how widely it is being adopted as a protocol. I can remember that the 2004 study in Australia where they looked at the cancer registry of Australia and America listing the treatments, that chemo contributed 2.1% of the cure rate therefore the rest of the cure rate success was attributed to other things. I wonder if anybody has considered what percentage detox plays on the cure rate. Unfortunately I can not get your detox products in Australia unless you know how? There are no studies as to whether or not detoxing helps with cancer, let alone how much it might help. And there’s a simple reason why. Check out Jon’s article: https://jonbarron.org/article/alternative-medicine-valid -- especially the section titled Subtractive VS Additive. I get it that science is after measuring the magic bullet and collects info for its practitioners as an industry but there are many alternative reliable treatment centers with MD's everywhere over the globe do they not collect data on cure rates and protocols used by the alternative industry to deal with cancer even if the data is only statistical to offer to its own people for their industry's benefit. To say we have the science and money behind us carries little weight to a rational mind if the cure rate for the same cancer diagnosis is less than the treatment that has had no money or rigorous science done but a superior cure rate nevertheless or as the case may be. Science only can identify the players and scenes they are in at a fixed point in time but the audience wants to know if the play is any good or is there a better one somewhere else even if we do not know the actors or scenes they are in. I am curious that's all. Why is NO ONE talking about Excess Unbound Iron in relation to cancer? It rarely gets implicated in any disease, but it's a major issue in many, many people all over the world. And the US Gov. has mandated it be added to all flour products since 1941 because so many women were considered anemic that some idiot decided it was needed in all humans. They decided to use iron shavings to increase iron in the body. And we accumulate this iron for years, basically as long as you are alive, unless you avoided anything made with flour since birth. Just curious on your thoughts on this and maybe do a blog post, specifically on this subject about iron. First of all let me confess that I am a huge fan of yours. I am a practising naturopath with a love for natural, systems based medicine. Room for intuition but do not throw science out with the bath water. I doubt that I have read anything you have written with which I could completely disagree with. Maybe there are different nuances in how I think and how you express your thoughts and ideas but on general I find great wisdom from your commentaries and am normally find myself very much coincident with your view point. Thank you for all the excellent articles you have penned in the many years I have been reading them (10 years and counting). Regarding one of your comments in your article regarding sugar metabolism and cancer - I would like to ask you for the scientific research reference so that I can make the same comment / point with confidence. You say that individual/isolated cancer cells are created every day in perhaps quite significant quantities. This makes sense to me but I have never come across the research to support this opinion. Could you please give me this reference. Thank you in advance. Very very informative keep up the good work. Another great article but I hope no rushes out to buy more candy! Sugar is pro-inflammatory and inflammation can lead to hundreds of diseases. I know you weren’t giving sugar eating a green light but some may read it that way. I thank you for publishing so many great articles with so much research behind them. I learn something every time. Does the mention of yeast mean one should avoid nutritional yeast? No, the mention of yeast in the report only concerns the fact that the researchers used yeast in their study. Also, nutritional yeast is deactivated. It’s not alive. It can’t grow in your gut, merely be broken down for nutrients. I would be interested in learning the specific alternative interventions that are available which can kill established cancer cells. I can think of the following treatments and supplements which I have read can do so: hyperbaric oxygen, the Gonzalez Protocol, Carnivora, Chlorine dioxide, food grade hydrogen peroxide, Gerson diet, etc. What is your opinion of these treatments, and are there others you can add. Jon's latest version of this book "Lessons From The Miracle Doctors" has a special chapter all about natural alternatives, plus you can search our site for the numerous topics on the subject. It would be too much to list them in one comment. Could sugar be an INDIRECT cause of a state that can lead to cancer? I see no comments on that. For instance there are theories that state that refined sugar consumption can lead to an overgrowth of candida - especially in combination with antibiotics treatments, and that fungus overgrowth could be a factor in the development of cancer - as you hint at, the processes are alike. Have you started your Research on Hydrogen yet? Certainly it is involved with ATP production and the most effective scavenger of free radicals available to the body. As well it mitigates inflammation and has been known to extend the life of animals by 3 to 5 times. This has become a big research area especially in Europe. I always do appreciate the info given by Jon's research. Jon's products are some of the best products available worldwide, if not the best. Having come from a family in which practically everyone dies of cancer, I absorbed countless theories on the subject and tested some of them on myself. There were two winning theories that can be interrelated easily. The first regarded pH and acidosis, acidosis being perceived as an important precursor of cancer. The second regarded a potentially beneficial function of tumors. They're a last resort. They protect our bodies from harmful and/or foreign substances more dangerous than the tumors themselves. In the case of acidosis, our bodies will already have borrowed all the minerals available to keep the pH of our blood high enough to sustain life. The only option left, apart from death, will be anaerobic cells that both separate healthy from diseased tissue and gobble unwanted, acidifying food: sugar deposits, for instance. I have a cyst in my flesh that formed in response to herpes simplex and functioned exactly like that. When the virus was caged, the symptoms stopped. Were the virus to show up elsewhere, it would probably be caged again. With sugar deposits, though, my body and those of my relations had a far more serious problem. Our bodies were deluged with acidifying food, not because we were overeating, but because we didn't know what to eat. We hadn't done enough research. My mother didn't make it, but I did. I reversed a malady of the bladder known as interstitial cystitis and balanced my pH on a daily basis. My mother's condition had also begun with interstitial cystitis, and her body had also been predisposed to form cysts. Since she had Lyme disease as well as cancer before she died, it's probable that the tumors were caging spirochetes as well as sugar, until cancer had spread all over her body.